This day 12 months ago 8 out of 10 orders that were processed through Purchase.ie website included items in the order that related to saving water. Last week 1 in 20 orders included items for saving water. We all officially started paying water charges 12 months ago (Oct 1st 2014) and over a year later the record number of transactions that were ever processed through the Purchase.ie site was Sept 30th 2014 as consumers made a last minute rush to take water conservation action ahead of the paid meter. When Minister Roche announced in November 2014 that there is a maximum amount that one will have to pay no matter how much water they used people stopped caring about conserving water. Over the last few weeks thousands of people received a 100 euro payment from the Irish government which is called a water conservation grant. As the provider of the most comprehensive range of water saving products in Ireland we here at Purchase.ie might have expected some sort of kick back as a result. Thankfully after establishing a business in 2009 in the middle of the worst recession in the history of the state you don’t really expect anything but when you get something you are happy. To date nobody is spending their water conservation grant money with us on water saving products and why should you expect them to when they know that conserving water doesn’t make a cent of a difference to their pocket. Moving forward (to use one politicians favourite term!) when the water charges cap deadline expires people will again take conserving water serious so there might be an argument to be made for getting some of the products to enable you to save in future now. Below we have outlined 7 things worth considering to use some of your water conservation grant money on which can help save on your energy bills immediately and will in the future impact on how much you pay in water charges. 2:Whilst most toilet cisterns installed in the past 10 years are quite efficient and only have a 6 litre flush capacity older cisterns can use between 9 and 12 litres of water each time you flush. 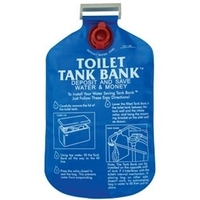 Installing a toilet tank bank can help you save 2 litres of water every time you flush. In a home of 4 where the toilet is flushed 20 times a day this could lead to an annual saving of €53.87 being extremely precise. 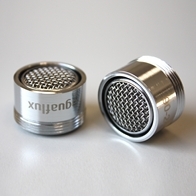 3: Water saving tap aerators installed on kitchen and bathroom taps restrict the amount of water that flows from the tape without compromising the pressure. 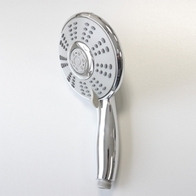 A bathroom restrictor reduces the water flow to just 4.5 litres per minute. The kitchen swivel restrictor reduces flow to 7.5 litres per minute. 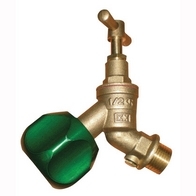 If a restrictor installed in both the bathroom and kitchen lead to each person in a home of 4 using just 6 litres less per day your annual savings on an investment of about 15 euro would reach about €30 per annum. 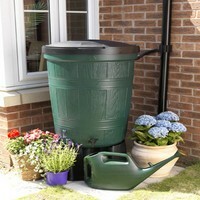 5: If your outdoor water tap is left on by accident overnight it could lead to thousands of litres water being wasted. This padlock free outdoor tap locking device will secure your water supply against theft, vandalism or simple carelessness potentially saving you a fortune in the process. 6: If you have a long draw between your hot water tank and your tap people will often waste up to 10 litres of cold water whilst waiting for hot water to flow through. An Instant Electric Hot Water tap will help to counter this issue. 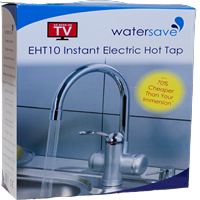 An element within the tap means that hot water instantaneously flows through. 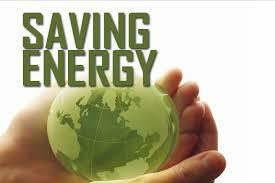 This can also help you save on energy bills as instead of heating a full water tank you only heat the water you use. 7: Focus more on making immediate saving by focusing more on reducing your energy bill rather than water conservation by checking out Ireland’s most comprehensive range of energy saving products.